The creator of the Charging Bull, Arturo Di Modica, is an Italian-American artist born in Sicily in 1941. Di Modica started sculpting in his teen years and quickly began to get recognized for it. By the age of 19, he moved to Florence. Within 12 years he became known throughout Italy for his sculptures. In the early 70’s, Di Modica moved to New York and opened a studio on Grand Street. Di Modica created the Charging Bull using $360,000 of his own money. The sculpture weighs over 7,000 pounds and is 11 feet tall. You can find the Bull in Bowling Green near Battery Park and Wall Street. However, this was not the original location of the Bull. On December 15th, 1989, Di Modica set out during the early hours of the morning to place the statue. With the help of the Bedi Makky Art Foundry, they found a home for the Bull right outside of the New York Stock Exchange on Broad Street. The Charging Bull still enjoys an immense degree of popularity, and made headlines when Kristen Visbal’s Fearless Girl was placed in front of it. Di Modica put the statue up for sale in 2004 under the condition that it remain in the same place. However, he still owns the copyright for the piece. 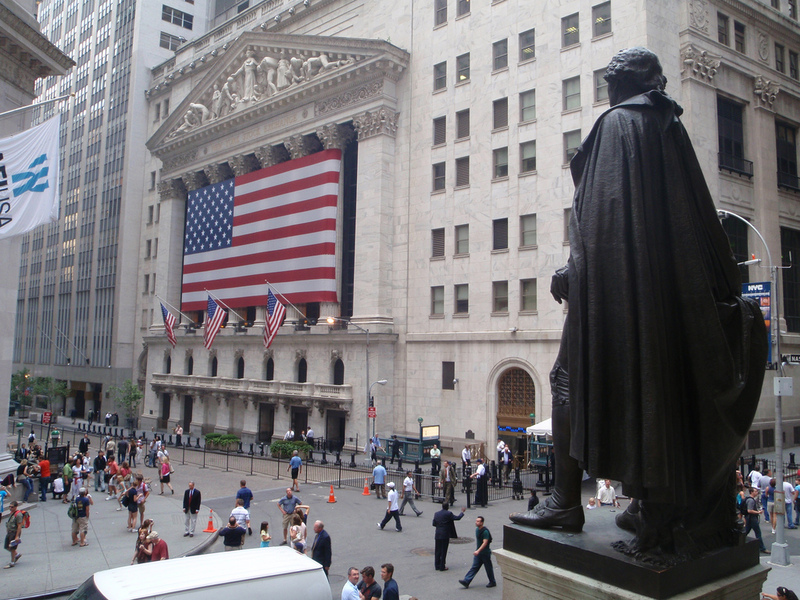 Learn more about Wall Street on one of our critically acclaimed tours.